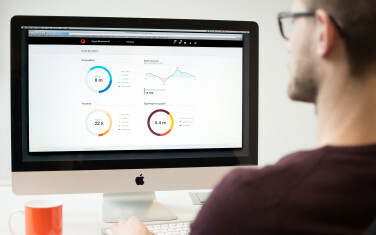 From a small innovative company in Bodø comes an innovative cloud based accounting system. 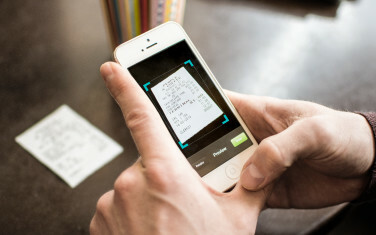 PowerOffice Go does away with nearly all paperwork, allowing users to scan receipts and work from their smartphone, tablet or desktop anywhere, and at anytime. In a highly competitive global market, companies nowadays need to find new ways of redefining old working practices in order to forge ahead with trailblazing solutions. The accounting industry has long been characterised by out dated working methods, whereby accountants and bookkeepers seemed to be forever bogged down at a fixed location in a sea of paper work. By creating a pioneering, intuitive and elegantly designed cloud-based program, PowerOffice is aiming to become the optimal worldwide accounting system. To create a solution to rival all other accounting applications, EGGS and PowerOffice focused their attention on the needs and work patterns of users by setting up various user workshops. We interviewed users at an early stage in order to gain maximum insight. They were then invited to test the application out for several months before launch, thereby giving us vital feedback and the opportunity to fine tune everything, as well as iron out any errors. During this process, EGGS helped on concept development, in addition to designing the overall look and feel of everything within the program. The result is a social accounting site with integrated client management, providing the ultimate user-friendly experience. It lets several users work and comment on the same data in real-time, whilst giving access to any relevant documents immediately. PowerOffice Go caters for both professional accountants, as well as those without any prior accounting expertise. It offers better availability at lower prices, and essentially gives its users more free time to live their lives. Today PowerOffice Go is forever expanding, already boasting versions in English, Danish, Finnish and Swedish. The company has an annual turnover of 30 million NOK, and after just a few months after launching they have 400 customers throughout Norway. 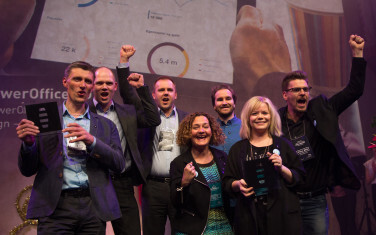 In 2014 PowerOffice Go was given the Award for Design Excellence, presented by the Norwegian Design Council.